Also, how awkward is it that I took the product photos after using it? I was so excited to get my claws into it and start playing that I didn't think to take any photographs beforehand. I've also not seen any other reviews for this product online, so how typical is it that these messed-up photos will be the first ones people see?! Ah well, onto the review. Packaging wise, I'm actually not keen. I love the classic black pots as they keep my Instagram feed looking lovely and photograph so well, so I wish LUSH had used those instead of these clear ones. There may be a genuine reason behind using clear plastic for jelly products (I'm sure shower jellies are in clear plastic too) and when I find out I'll update this post. There's not much to say about the colour of this mask, it's a creamy grey-beige, but I love the gold dust that LUSH has included on the surface of the mask. It gives Bunny Moon a very cute and girly 'Sailor Moon' vibe, which I adore. I also really like how LUSH has marketed this mask with the words "Channel your inner moonchild" as it adds a sprinkle of magic to a calm, chamomile product. The scent of this mask is really something different. It contains honey so it smells reminiscent of the products in the Honey gift box, which is absolutely fabulous as I've recently developed an obsession with honey products. 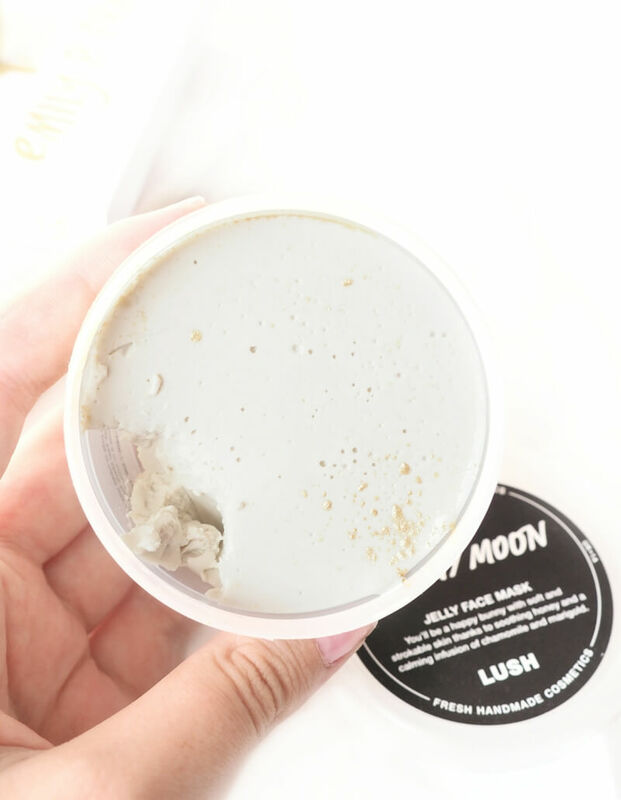 Bunny Moon also contains chamomile, marigold petals and rose oil as it's main ingredients, so it's smells like a gentle mish-mash of everything and is very calming. 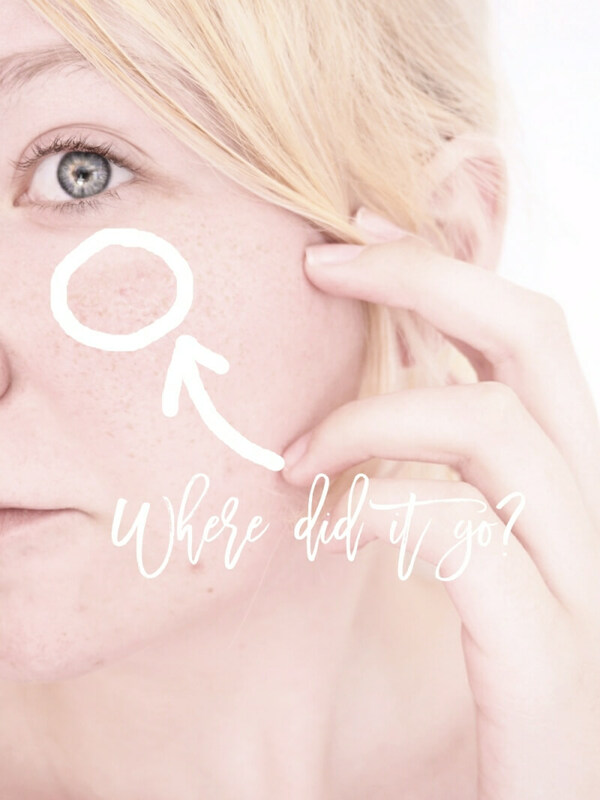 Onto the results of using the jelly mask - All week I have had a horrible, flaky piece of skin on the top of my cheek. I couldn't work out what it was, possibly sunburn, but it felt scaly, flaky and dry. I could not get rid of it all holiday. However as soon as I rinsed off Bunny Moon... it was gone! I'm confused, but very impressed. The bunnies must have worked their magic and healed my skin in such a short amount of time. I've circled on my photo below where the flaky thing used to be. There's absolutely no sign of it, despite it originally being the size of a fingernail. I also have no makeup on and I never post pictures of myself on here, so be proud of me! It does take quite a bit of effort to remove. I normally scoff at products that say to remove with a flannel and just scrub them off with water, but once wet this mask becomes slimy and clings to the skin, so I ended up using a soft cloth. 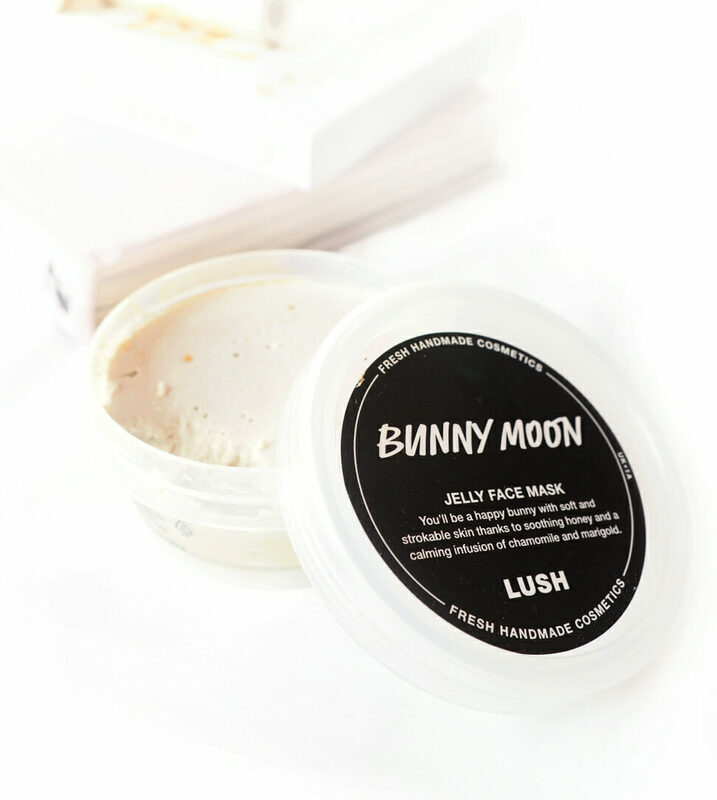 Bunny Moon retails at £6.95 a pot, which is the same as the other four jelly masks available. The next mask I'll be picking up is The Birth Of Venus, as these long-lasting jelly masks are a winner in my eyes. My one gripe with Bunny Moon? Black packaging next time please LUSH. This was a bugger to photograph. Would you try a jelly face mask? What a comprehensive review!! I'm tempted to try! And the name... lol what a name!!! I would love to try a jelly face mask!! Didn't even know that Lush had come out with these! I've seen two Lush reviews today. I guess I should look into their products. Thanks for the review! I have tried all of the Lush face masks but not this one - sounds really good! Ooh I've never used a jelly mask before but this sounds so impressive - its great that it managed to get rid of that dry patch for you! Lush products always look good enough to eat! And especially with their just publicized stance on their EU employees they will definitely get my business. Good company with heart! I'm really intrigued by these jelly face masks after reading your post. I'd actually never heard of them. Honestly, "channel your inner moonchild" made me think of the Anastasia Beverly Hills 'Moonchild' highlighting palette... But I suppose that's be because I'm obsessed with it at the moment haha. 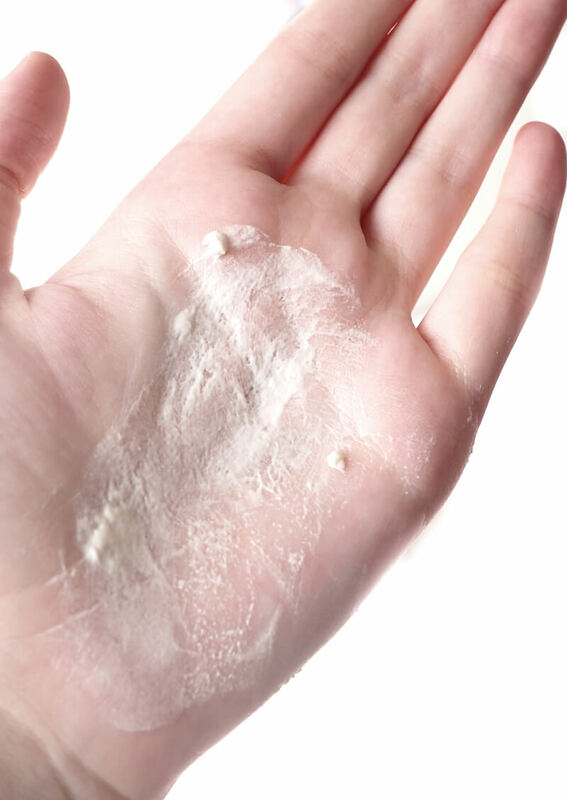 This was a really good review and I'm still considering giving this product a go, but I am concerned about the glitter as I have quite bad eczema and don't want to risk aggravating it. Who knows maybe one day I'll give it a try! I am definitely going to have to buy one of these! I love the honey range and chamomile is one of my favourites!! It happens to me as well! I often want to try the new stuff and forget to take photos first! It's so exhausting but I just don't like to take photos of products after using them! Jelly mask seems lovely and the fact that thingy on your cheek disappeared is amazing!